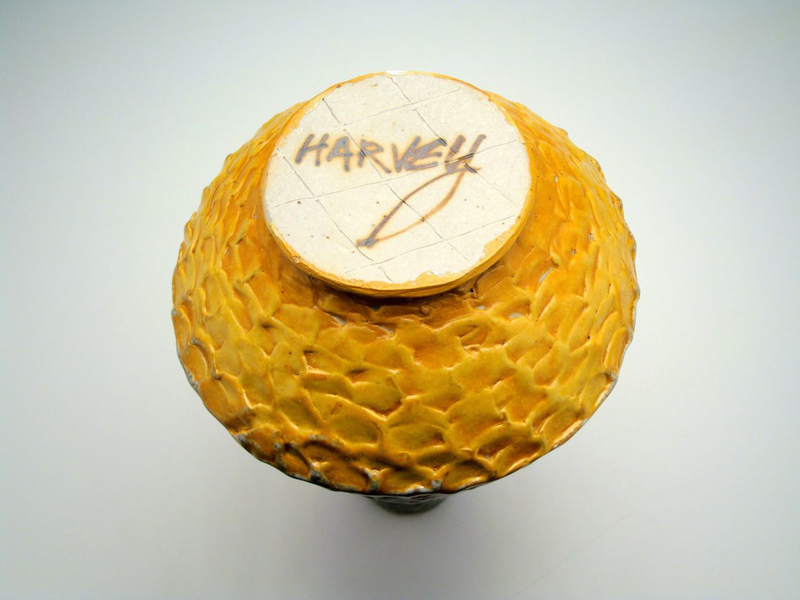 Sam Harvey is a ceramic artist who maintains a studio practice in Aspen, Co. 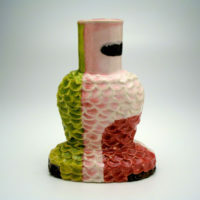 He first fell in love with clay in High School while attending the New Orleans Center for Creative Arts. He then attended the Kansas City Art Institute where he received his Bachelor of Fine Arts. Landing in Boulder, Colorado he became deeper friends with, and later a graduate student of, artist Betty Woodman. After discovering that Woodman would not continue teaching at the University, he chose not to return to C.U. – Boulder. Instead he spent a year of studies abroad in China, Nepal, Italy and England. 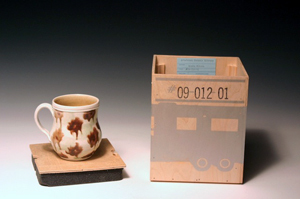 He completed his MFA at the New York State College of Ceramics, Alfred University. He has taught and lectured for many universities and community organizations across the globe including Taiwan, Jamaica, Canada, Chile and in the US in Colorado, New York, Texas, California, and Wyoming. Feeling the call of the mountains, he moved back to Aspen, Colorado where he completed numerous artist’s residencies and where he currently resides. 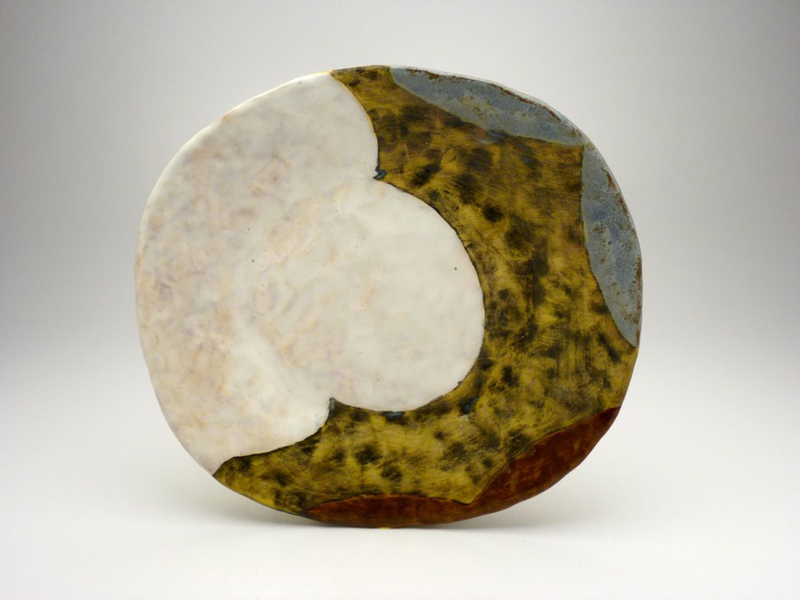 He is a co-owner of the Harvey/Meadows Gallery, focusing on contemporary ceramics and works on paper. He currently serves on the Boards of both the Anderson Ranch Art Center and the Carbondale Clay Center. 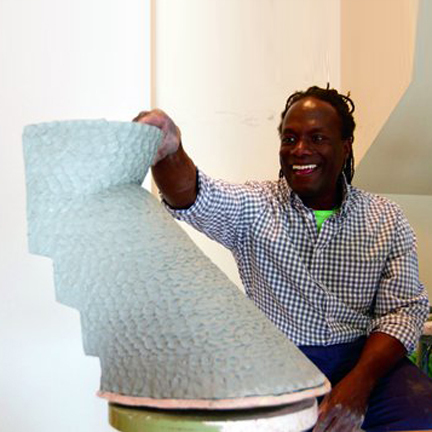 His work has been exhibited widely both nationally and internationally and is included in many public and private collections including the American Museum of Ceramic Art, CA and the Brooklyn Museum of Art, NY. I am attracted to beautiful objects. 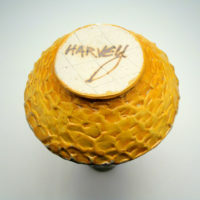 Objects that convey the thought process, sensibility and history of their maker. Whether an object of art is constructed of clay, molded styrofoam, steel, or canvass and paint, it conveys an idea, an intent to communicate. Out of cognition and the creative thinking process comes the desire to construct and make visible our individual stories, questions and desires. My intent is to build pieces that connote that a story is being written, a narrative that takes the reader on a journey one sentence or paragraph at a time. I strive to create a map which is interpreted metaphorically rather than literally. 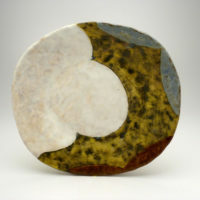 Throughout each piece, within the body of the form, are areas that expand and contract, places of rest and transition. These shifts of volume and planes allow an investigation to allusions of anatomy. The clay is coaxed into bulbous swellings suggestive of shoulders or a rounded belly or cantilevered out like an arm reaching or grounded like the solid foundation of a body in akimbo posture. As part of the sensory dialogue I want the viewer to be involved in, I leave the record of my making process visible. The viewers gaze is encouraged to traverse the landscape of the object, following finger print after successive finger print. Pinching and coiling are the tracks and evidence of the journey. My desire is to establish a kinesthetic conversation between the person viewing the work and myself. The tactility of the coils bridges a gap between idea and physicality. Perception becomes dialogue. Consequently, the viewer becomes an active participant in a conversation regarding architecture, scale, beauty and use. 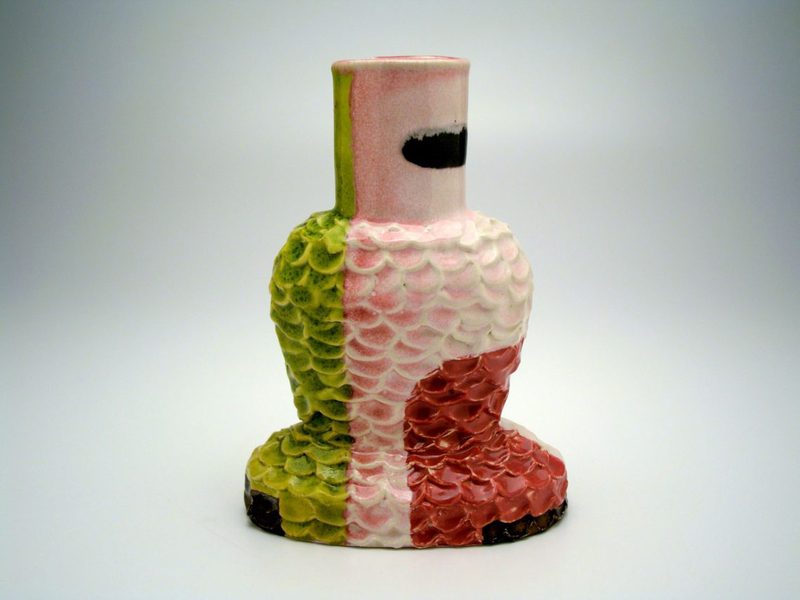 Building with clay is an attempt at conveying an abstract idea in solid form. How I create the work is an organic process of discovery buttressed by historical references and a commitment to contemporary art awareness. My work proposes a journey, composed of amalgamations of various places I’ve traveled to or imagined. The job of the sculpture is to exist as a visual trigger for sensory perception.